At an event in Berlin today, Samsung unveiled a sequel to its super-sized Galaxy Note smartphone. The Galaxy Note 2 has everything we expected after hearing rumors and seeing the Galaxy Note 10.1, which came out very recently. It has a slightly larger touchscreen, an improved S Pen and touch-sensitivity, some new stylus-based features, and updated hardware specs. 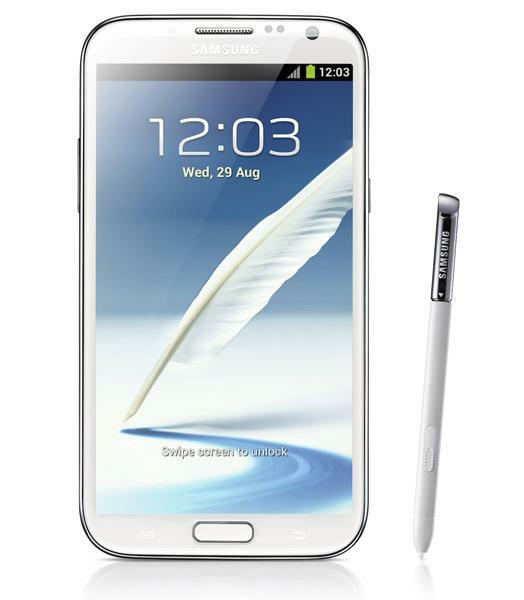 The new Note looks more like the Galaxy S3, with white or dark blue color schemes. Though its screen has grown from 5.3 inches to 5.5 inches, it’s actually a bit thinner (9.4mm) and taller than the original Note. This is because the screen has gotten taller and wider (16:9 aspect ratio) than its predecessor. Pixel-wise, the Super AMOLED screen comes in at 720p. To compliment its new S Pen, Samsung has announced a number of new hover features that replicate the effect of hovering a mouse over something. Now, when you use Samsung’s email app, photo gallery, or calendar app, you can hover over an email or photo in a list to get a pop up preview of it. On photos, you can also write a note on the back of them, though we’re not sure if these notes will transfer if you put a picture on your computer. While writing emails, you can draw pictures or cut and paste images using the S Pen, as well. Sketchbook is a new app that helps you sketch images and be creative. The specs of the new Note are pretty impressive. The Note 2 runs Android 4.1 (Jelly Bean), has a 1.6GHz quad-core processor, 2GB of RAM, 16-64GB of internal flash memory, 4G LTE connectivity, a huge 3,100mAh battery, a microSD slot, a 1.9-megapixel front-facing webcam, and an 8-megapixel rear camera. No pricing has been announced, but Samsung hopes to launch the phone in the U.S. this October. Check out our full review of the Samsung Galaxy Note 2.